Whether adding color to your tablescape or keeping little hands busy, you’ll find over a dozen ways to amp up your Easter Egg decorating with these fantastic ideas! I love the joy that Easter egg decorating brings to the season. I love watching the expressions on the faces of the kids as we anxiously watch the color transformations to occur on our eggs. I love to see the pride on their faces at the dinner table as someone adds one of their beautifully decorated eggs to their plate. I love how excited they get when we hang up their egg decorations that adds new life to our home. Easter is such a blessed time and Easter Egg decorating just adds to that! Easter egg decorating has come a long way from just the dip technique. Now you can dip, dye, drip, dot, stripe, marble and make eggs as personal or colorful as you can think of! I’m quite impressed by some of these creative egg decorating techniques. And the great thing is that they’re all easy to do with your kiddos! There’s over a dozen ideas of egg decorating ideas that use real eggs. 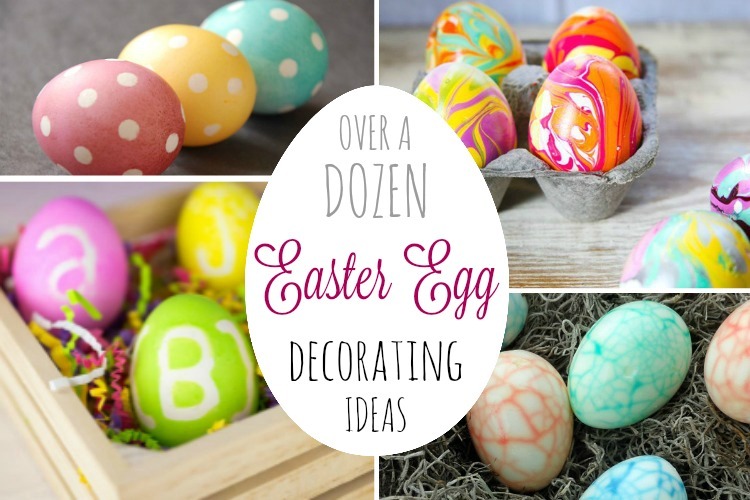 BUT… scroll down and you’ll find a handful of other egg ideas and crafts too! 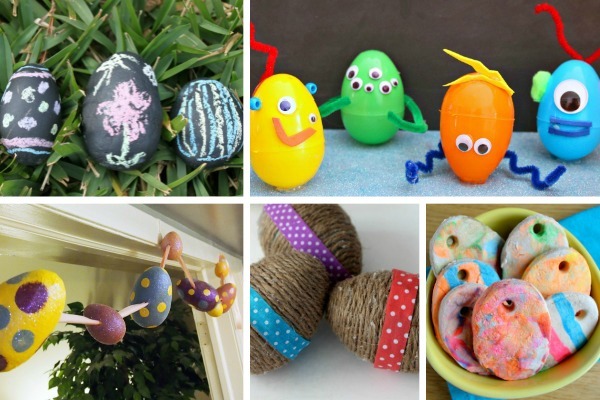 Still want some Easter Egg decorating fun without using real eggs? 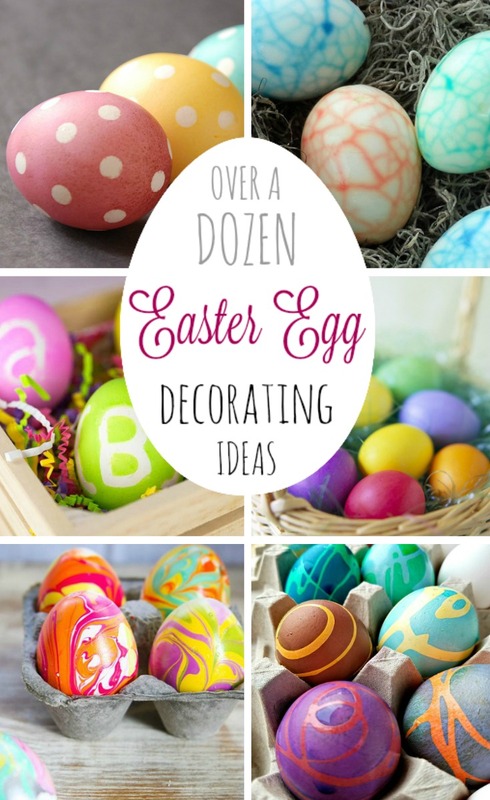 I gotcha covered with some super cute and easy egg ideas! And… don’t forget to print out some Easter Cutting Practice sheets to take to Easter dinner with you! 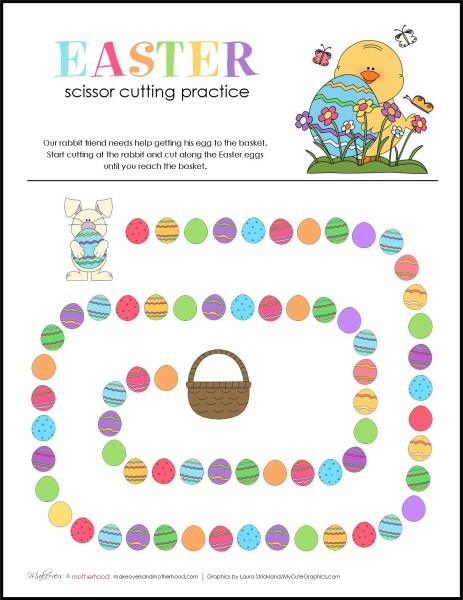 A pair of kid scissors is a perfect little gift from the Easter Bunny and the cutting sheets are perfect for entertaining kiddos between lunch and the egg hunt! Happy Easter, friends! May you have a blessed day!